The Jorhat district museum which houses valuable artifacts from the pre- Ahom era has got a new look as a new innovative method has been used to display the large number of ancient items. The Indira Gandhi National Centre for Arts (IGNCA) has helped the museum to properly display each precious item through the ‘Re-org’ method. The method has been developed by the International Centre for the Study of the Preservation and Restoration of Cultural Property (ICCROM) and UNESCO in 2011, reports TOI. IGNCA’s research officer Shilpi Roy said that all the manuscripts that were earlier kept on a wooden structure have been shifted to a steel shelf to prevent insect attacks. Roy also said that a special cover was wrapped for the better preservation of the manuscripts and provisions for maintaining the humidity and temperature was also made for the items to be kept in good condition. 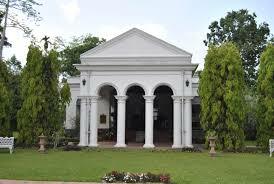 Jorhat district museum officer Abantika Parasar said that they are thankful to IGNCA for giving the museum a new look. Parasar added that the museum has manuscripts that are 500 to 600 years old, valuable textiles and a decorative tool for carpenters called olom. According to a ICCROM-UNESCO survey in 2011 , it was found that most of the collections in museums worldwide are at risk due to improper methods of storage. To help museums regain control of their collections in storage, ICCROM and UNESCO designed the Re-Org Method with the help of a Storage Task Force of 15 professionals from 15 countries. IGNCA is implementing ‘Re-org India’ among museum professionals in the country to save items from being haphazardly stored.